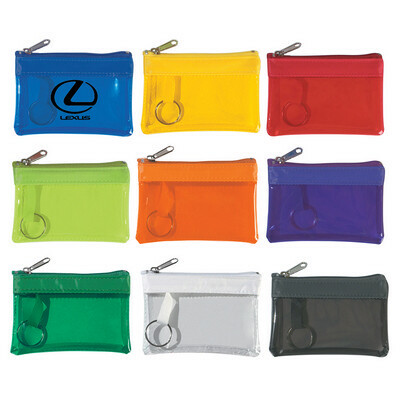 Features: Translucent zippered coin pouch with split ring attachment inside available in 10 attractive colors. Price includes : 1 COLOUR 1 POSITION PRINT. Setup is included.